Emeritus at Spicewood Springs promised its residents in 1995 that we would always treat our residents as we would our own loved ones. We know that nothing less than our best will do. We are proud to fulfill that promise every day. 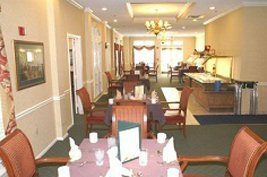 Emeritus at Spicewood Springs is an assisted living facility offering retirement services and skilled nursing care. Our staff is dedicated to developing strong, caring and professional relationships. We are proud of our tenured staff and are excited for you to meet us.